Kick this project up a notch by making pudding from scratch. It is much easier than you think. We found a really easy recipe on Pinterest HERE. You could potentially allow your child to break the eggs, but keep in mind you need the yolks. Children enjoy measuring, pouring, and counting when it comes to recipes. Knowing that I had a potentially picky eater on my hands, I only made half the batch pumpkin, and left the other half vanilla. Both were a hit. This recipe is a quick and easy hit to celebrate fall. and Thanksgiving is next week. This recipe does not disappoint. It is sure to convert some pumpkin pie skeptics. This activity was a part of XO Playtime which is part of a monthly subscription where scree free activities are mailed to your inbox each month. Take several Graham Crackers, and crush them with a sledge hammer, your child's toy hammer, or a rolling pin of pain. 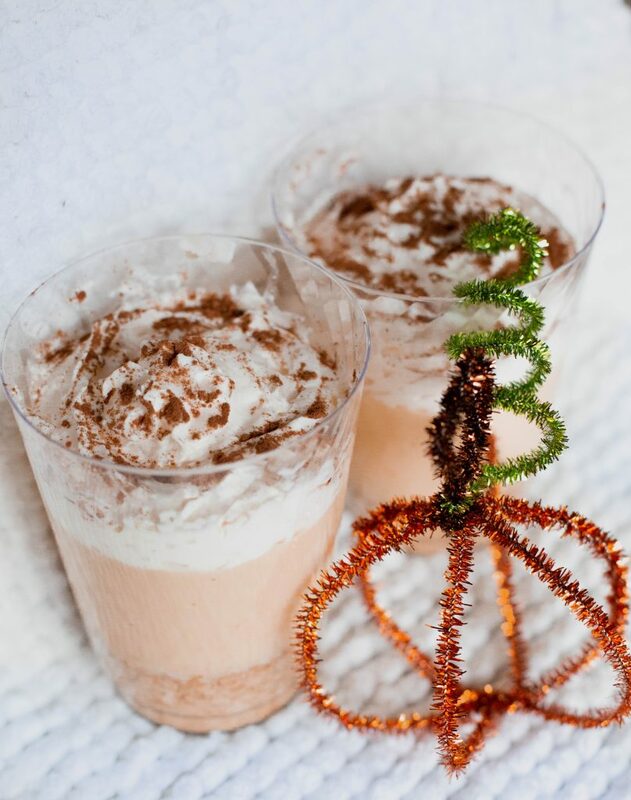 Fill the bottoms of the cups with the crushed Graham Crackers. Divide mixture into the cups.